2018 - Rutherglen Kinder mural - 'How the Mothers got their Pouches' indigenous story. 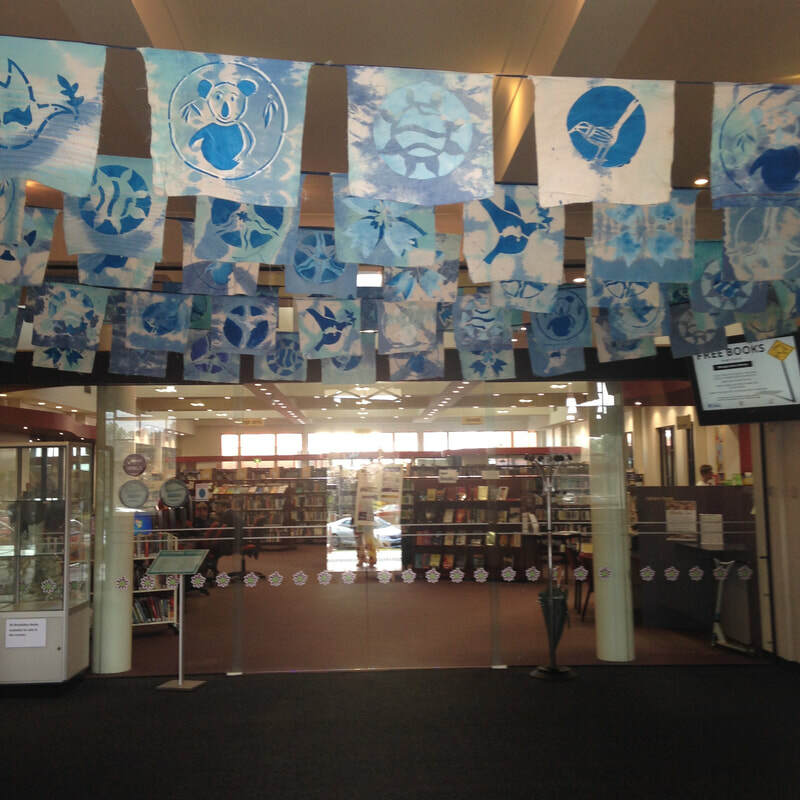 2017 King Valley Peace Flag project installation in Bainz Gallery, Wangaratta Library Foyer. 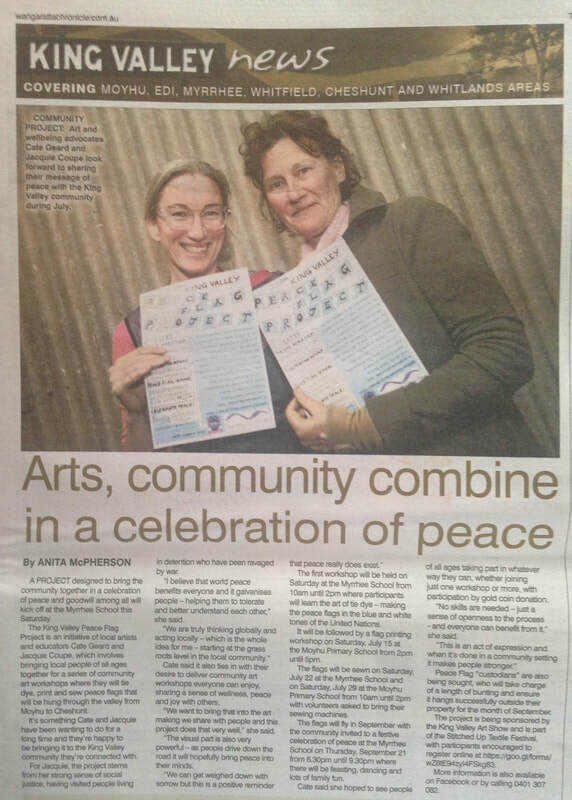 2018 Wangaratta Peace Flag project individual designs of Peace symbols. 2018 - Mural co - created with students from Rutherglen Primary School. 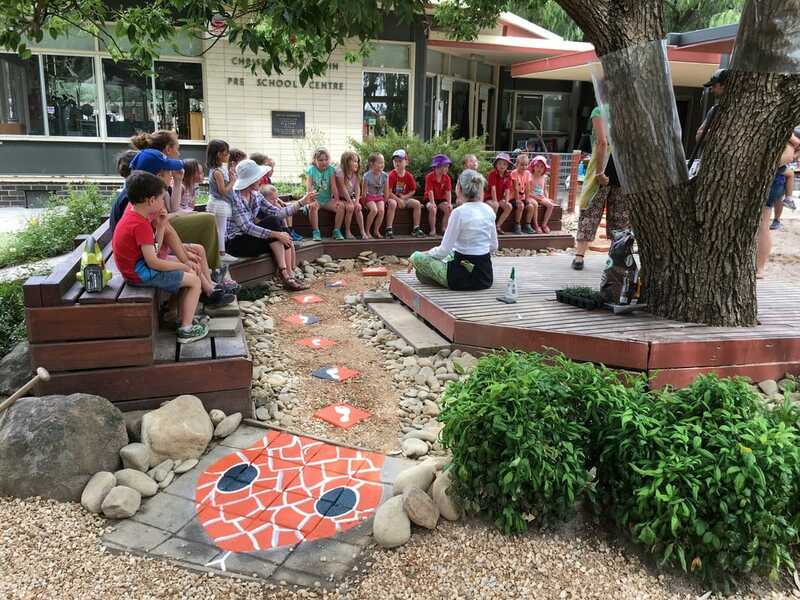 2017 - Schools Art Project, Wodonga for 2018 Comm. Games Queen's Baton Relay. 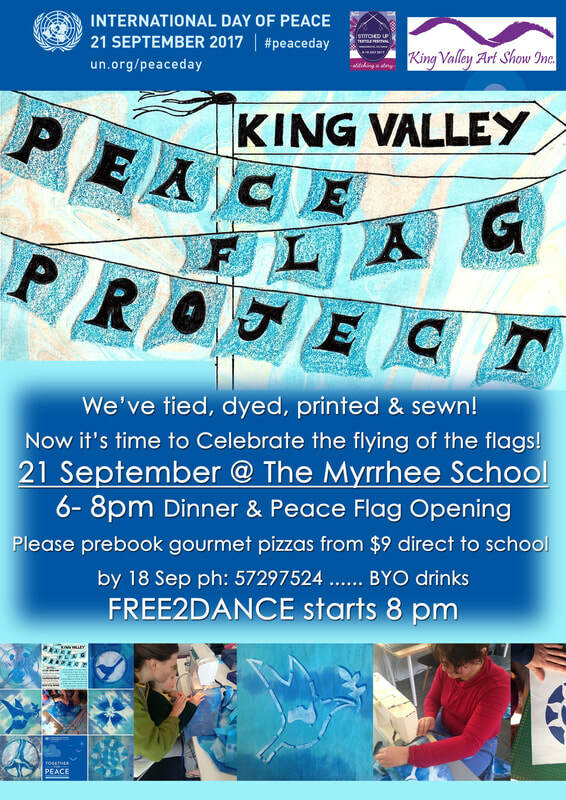 2017 King Valley Peace Flag Project, Victoria. 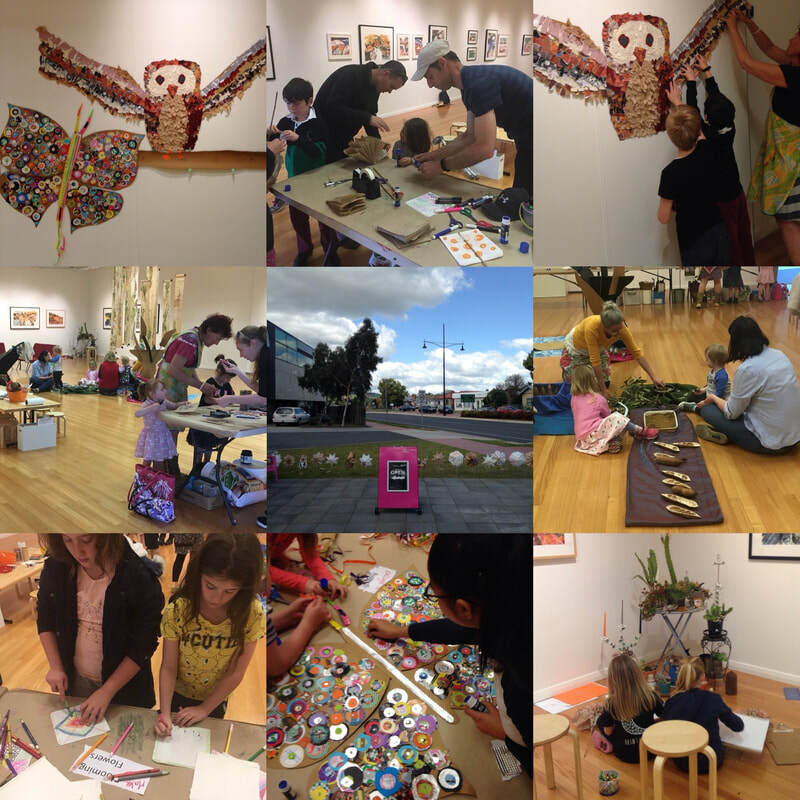 2017 Sounds of Spring School holidays interactive art workshop at Wodonga ArtsSpace. 2017 Australia Day in Wodonga. 2016 Easter Art making - Weaving, Wodonga Victoria. 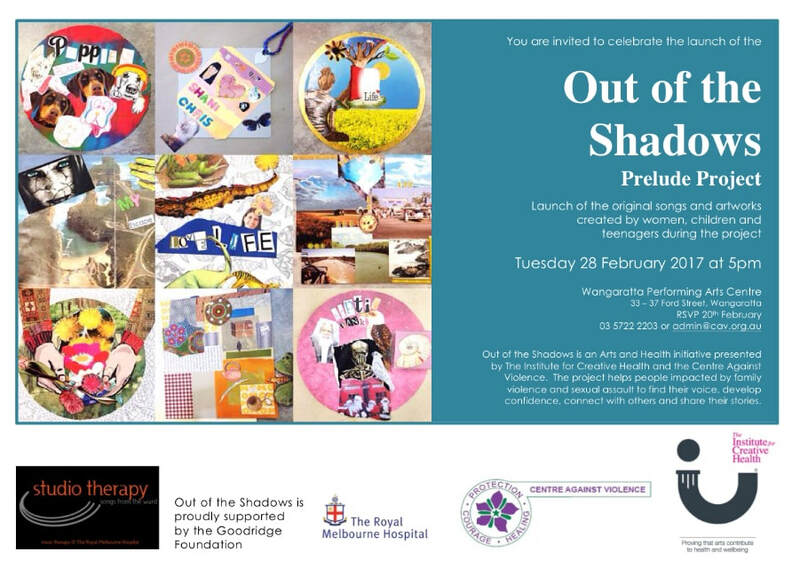 2017 - Out of the Shadows Collage work, Wangaratta, Victoria. Together Jacquie Coupé and Cate Geard - us! 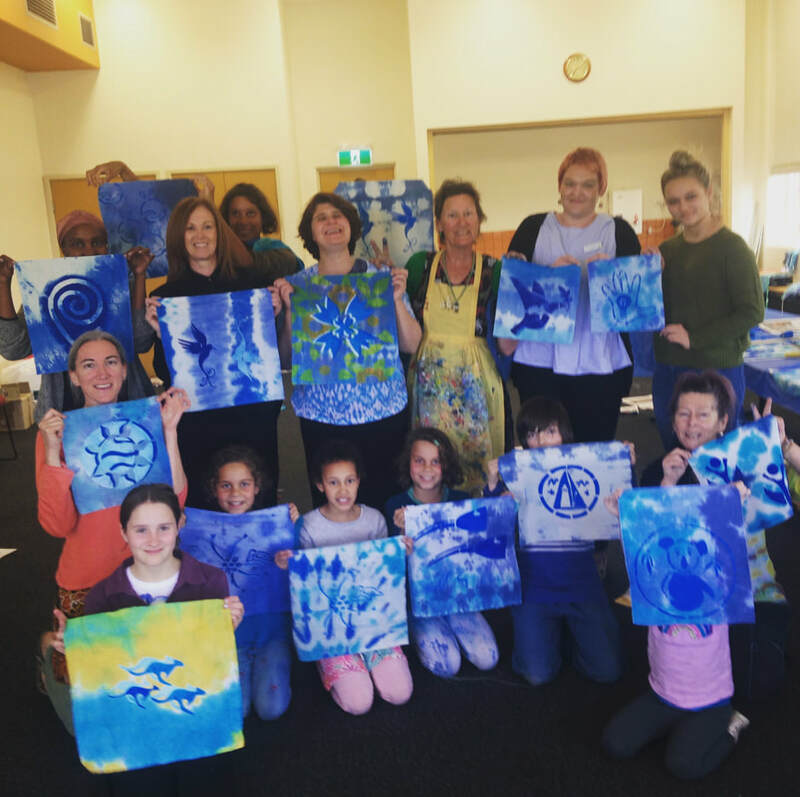 - we have been running collaborative, community art making workshops for the last 4 years, from whole school art days to specialised mosaic tile workshops. 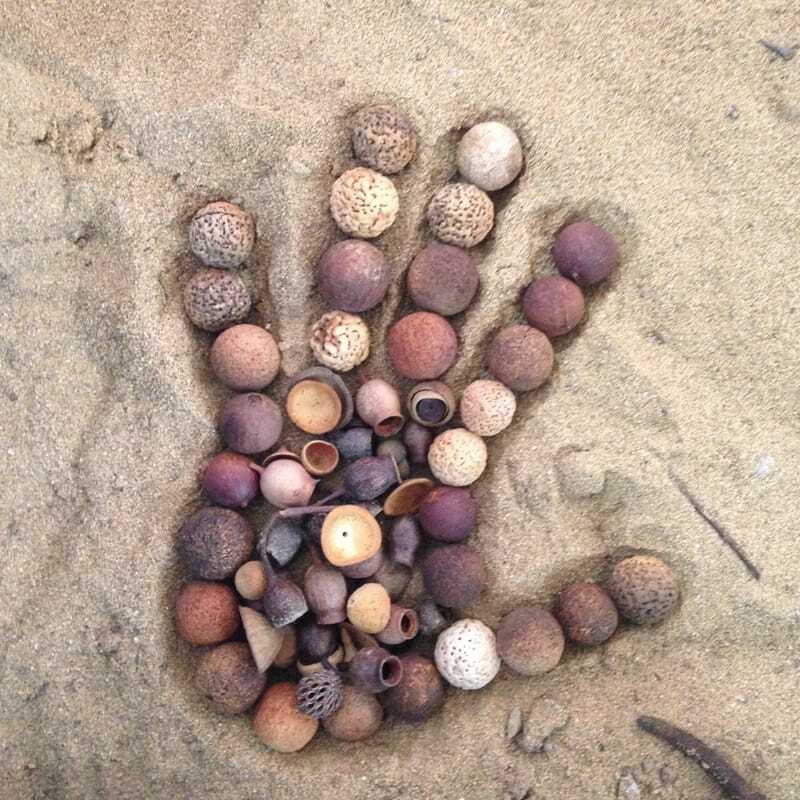 Our strength lies in our mutual love to see the SPARK of creativity ignite in the individual and the collective. 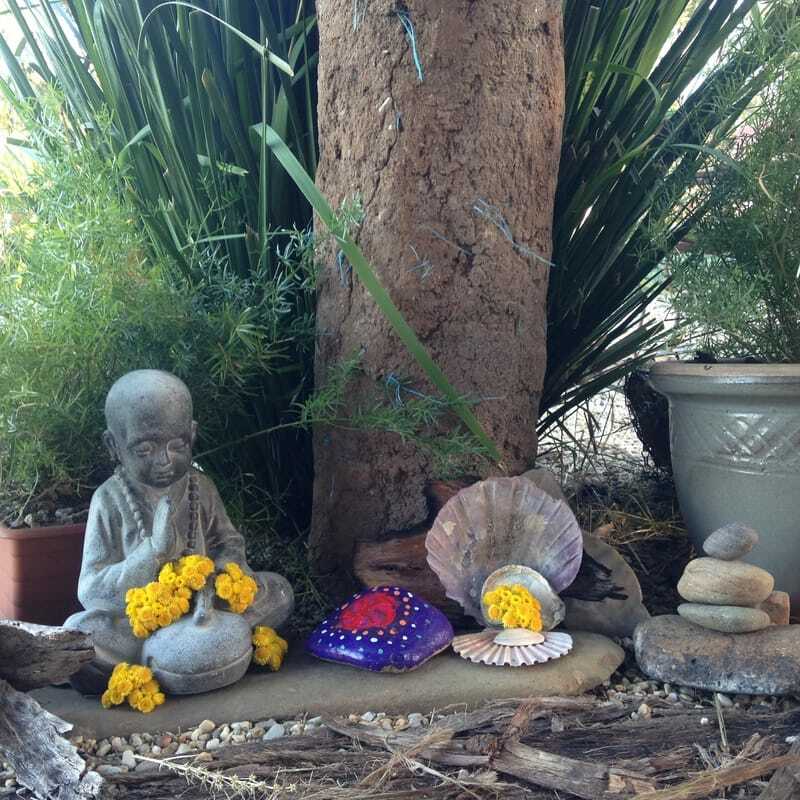 We are, among other things, school teachers...Jacquie has been an arts teacher, advocate, manager and revolutionary for 35 years, and Cate 15 years a teacher in primary and secondary French, generalist primary and art; 4.5 years teaching yoga and 3 years managing busy café. These jobs have offered us opportunity to hone and muster all our skills, that we now use in multidisciplinary ways, as we seek out projects that inspire, that create joy and upliftment for all, that create pathways to freedom of expression by playing, exploring and experimenting. We are both energised by Nature. As we observe and interact with Nature, we are continually inspired by her inherent role in life as unadulterated art - beauty. Nature is a portal to the present, inviting us to connect within for self-expression that can heal and realise pure potential. 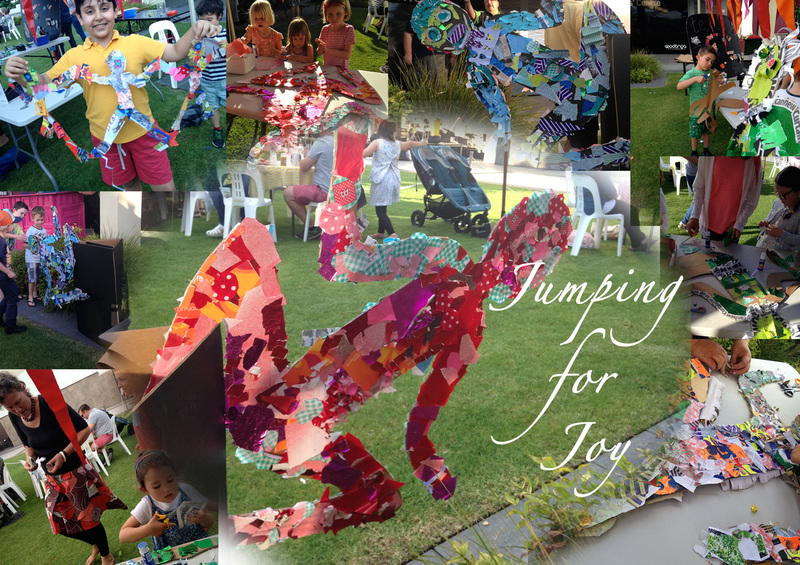 Our own art practices continue to inform our approach to community arts projects. We love and respond well to working with all age groups and abilities. 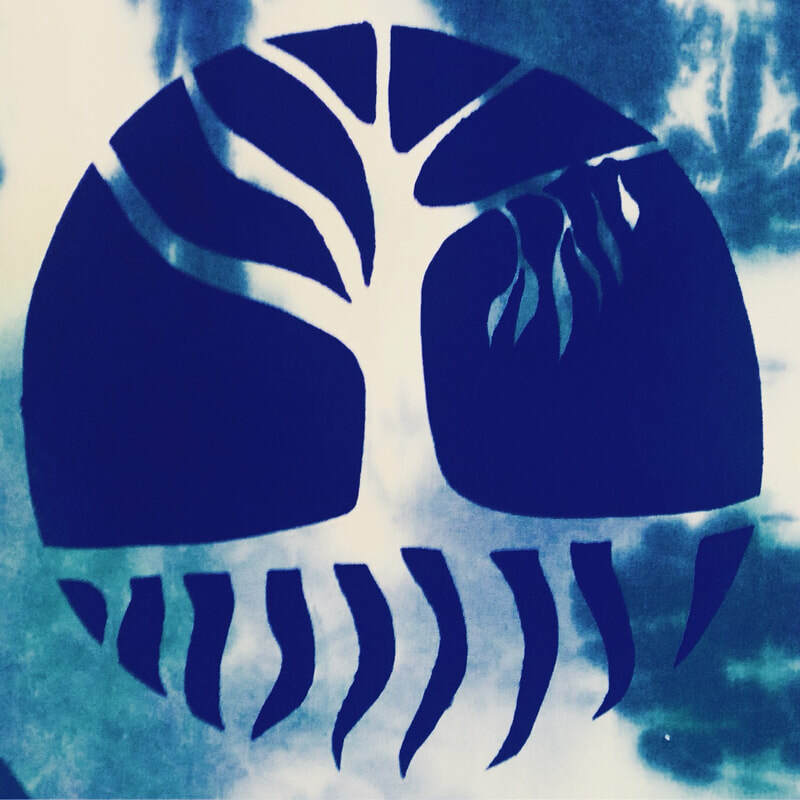 Contact us here and start the creative community collaboration today!